Happy Monday! How is Easter so close to being here? We’re talking April 16th to be exact! It feels like yesterday it was just Saint Patrick’s day! It’s really weird! I thought for sure I would be burned out on pineapples by now, but I still love them! I’ll be honest, flamingos got wildly popular around the same time, and I am sort of burnt out on those! 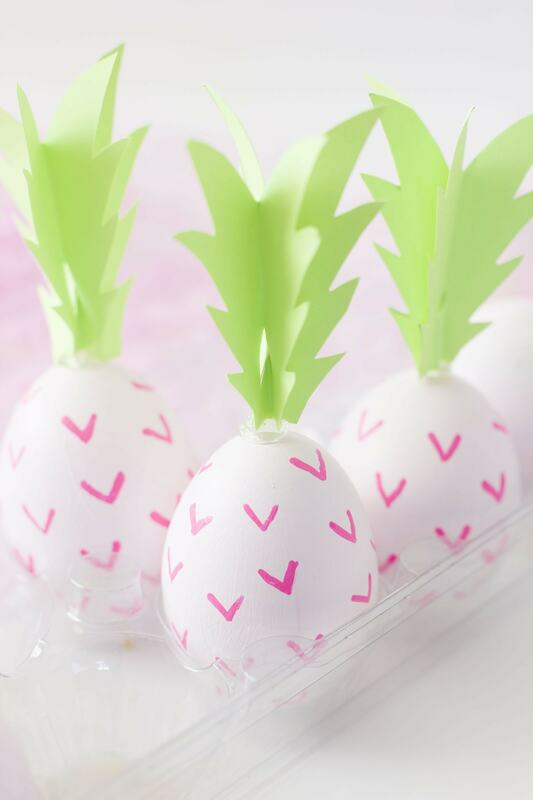 So these eggs are a lot easier than you would ever imagine! A little construction paper and paint goes a heck of a long way! ;) And of course, I had to bust out the pink as it’s not only a huge part of our signature branding but my motto is – the pinker, the better! But I did incorporate some green so I hope you guys are proud of me! ;) It’s a process, let me tell you! I promise this year, I will venture outside of pink a little more! P.S. 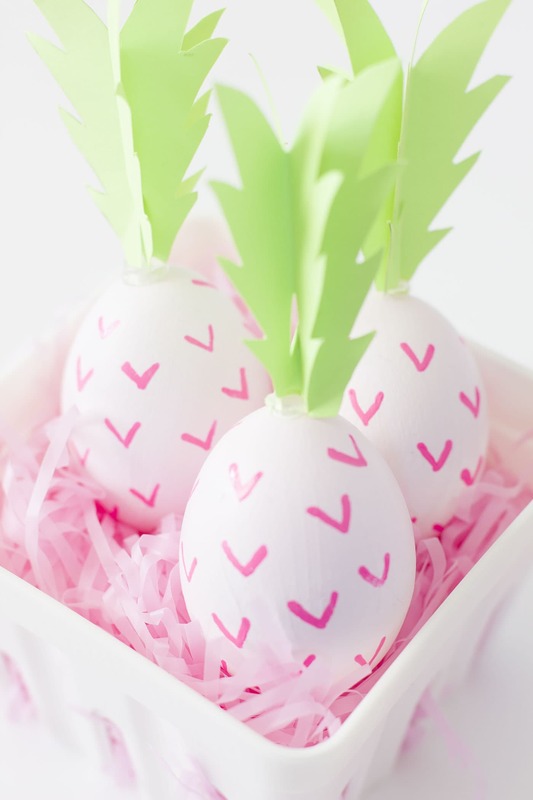 If you want to create these eggs for a table setting that is NOT edible, you can buy DIY eggs that you’re able to paint and save year after year for a display. So fun! 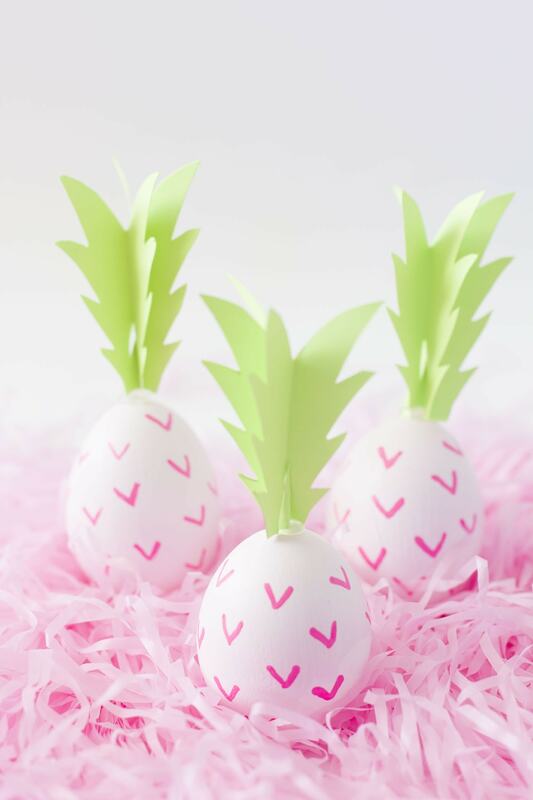 Paint your eggs with your light pink paint and let dry. Cut a pineapple stem design out of your construction paper. You will need two per egg. Fold each of these down the middle. Hot glue two pieces of your cut out stem on top of each egg using your hot glue gun. 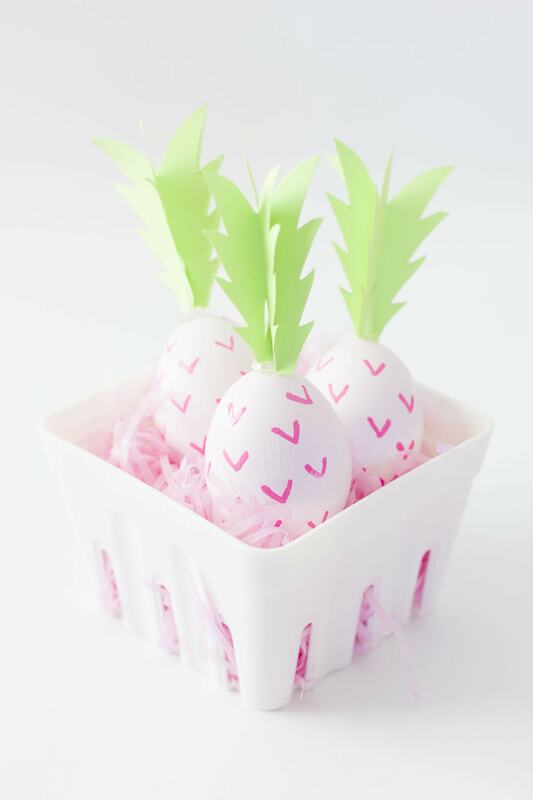 Use your paint pen to draw tiny Vs on your egg.